Each year we like to get holiday gifts for our volunteers to thank them for their hard work and dedication throughout the year. In past years we have given out cute penguin ornaments, penguin water bottles, we even helped all our volunteers live blue™ by giving them waterproof reusable bags to bring their wet bathing suits home instead of using plastic bags. This year we were having a hard time thinking of a gift that was thoughtful and useful. We finally came up with an idea that is both cute and thoughtful and helps to save an endangered species. 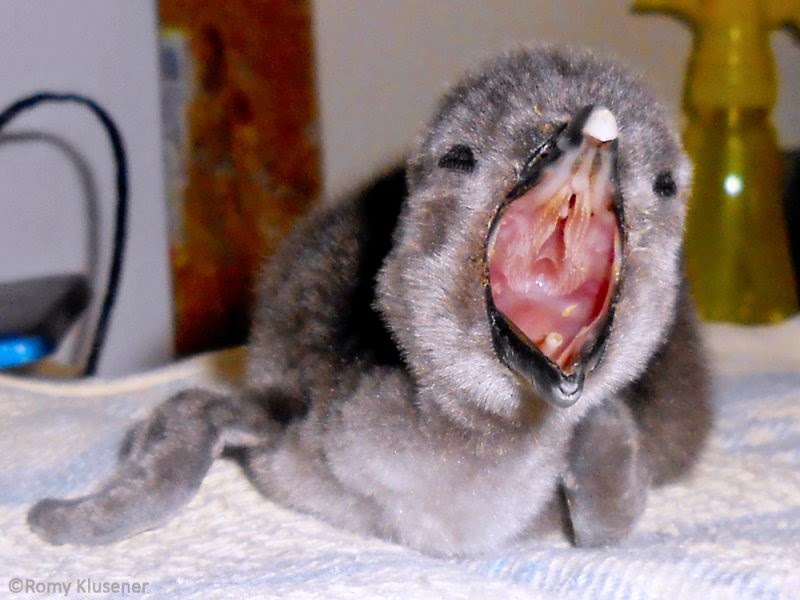 We're sponsoring abandoned wild penguin chicks! Each year, due to food shortages, adult African penguins in South Africa may be forced to abandon their chicks on shore so they can go farther out to sea to find enough food to sustain themselves through their yearly molt. Without their parents to provide them with food, these abandoned chicks would die. 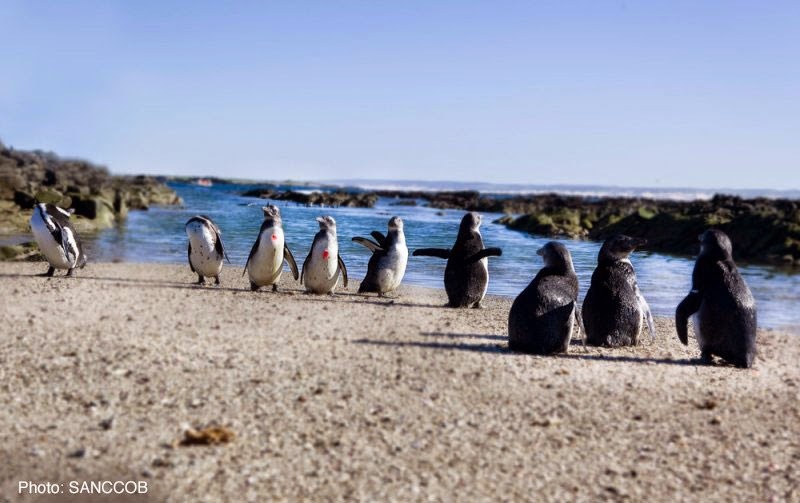 With the endangered African penguin population declining at an alarming rate, the death of these chicks will have a big impact on the future of African penguins. Workers from SANCCOB, a seabird rescue and rehabilitation center in Cape Town, South Africa, comb the beaches collecting these abandoned chicks to bring to their facility. 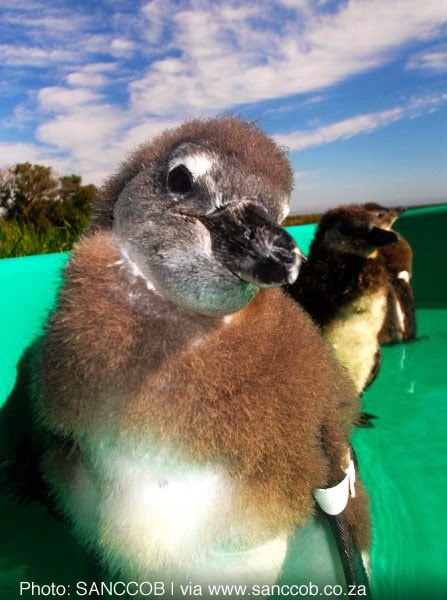 Once at SANCCOB these chicks are nursed back to health and fattened up until they grow up and fledge into their waterproof juvenile feathers. 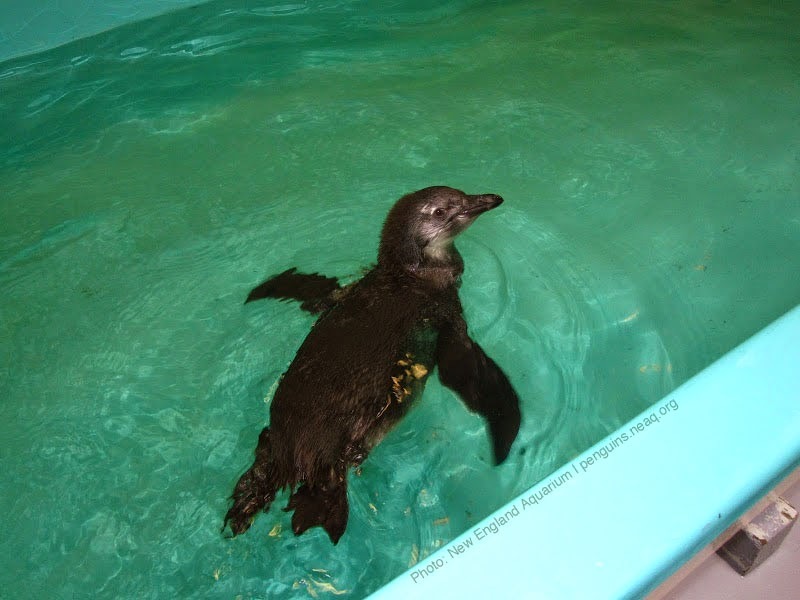 They are even given “swimming lessons” before release to make sure they are comfortable in the water much like what we do with our chicks before they join the adults in our exhibit. Once the chicks are at a healthy weight and have waterproof feathers, they are released back into the wild. This year SANCCOB has taken in a record number of chicks, and with over 500 hungry mouths to feed, SANCCOB set up a donation program to raise money to help pay for all the food and supplies needed to rehabilitate these chicks. They set up the Adopt a “Christmas Chick” program. 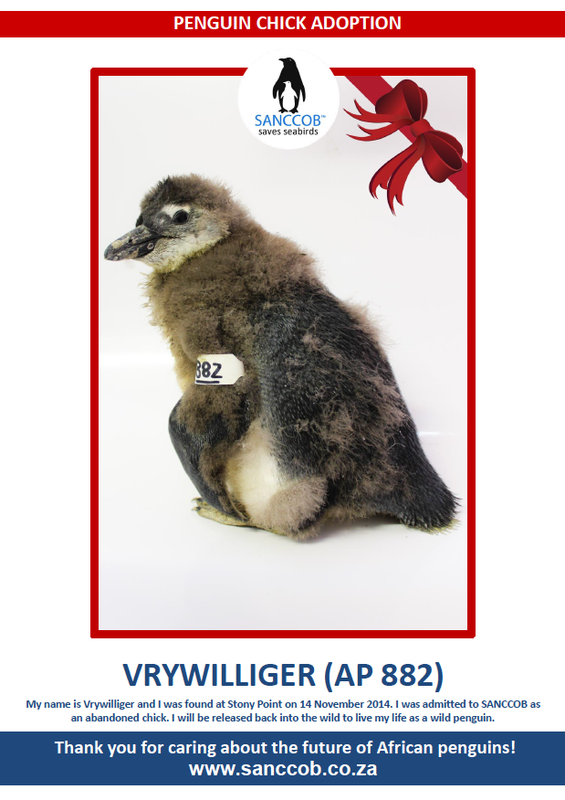 If you want to learn more about SANCCOB and all the things they are doing to help the endangered African penguin along with other local sea birds check out their website. SANCCOB is not the only rescue operation that is dealing with record numbers of patients. Our very own Marine Animal Rescue Team has treated over 700 stranded sea turtles. 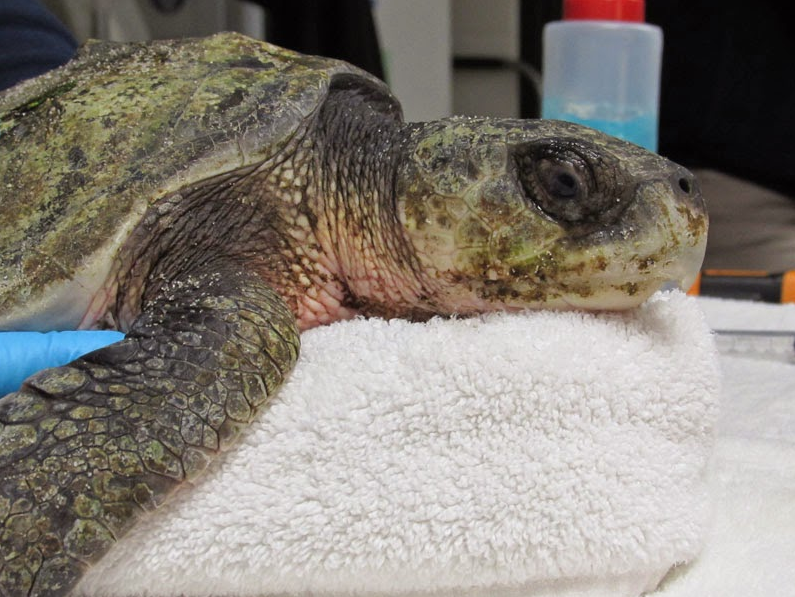 Learn more about this amazing effort follow our Marine Animal Rescue Team blog. So instead of individual volunteer gifts, we decided to pool the money and adopt two chicks on behalf of our volunteers. Through the program we were able to name each adopted chick. 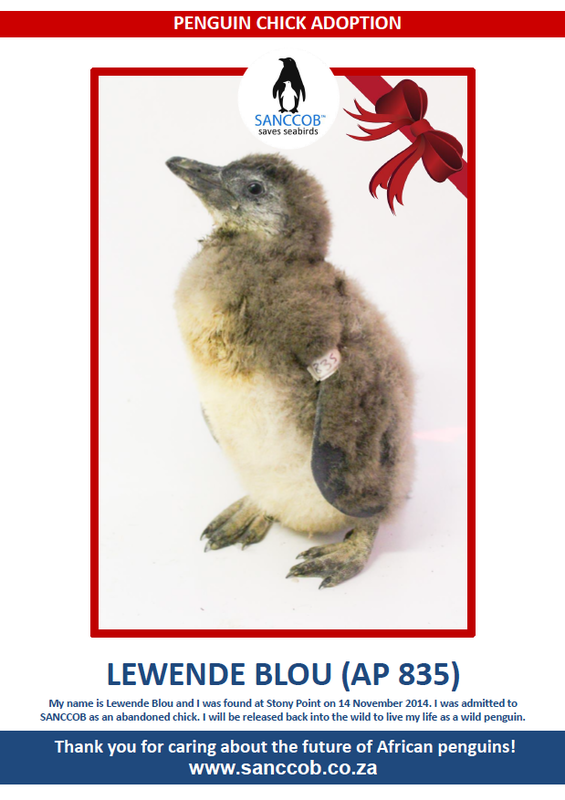 We named one “Lewende Blou” which is Afrikaans, one of the official languages spoken in South Africa, for “live blue” and the second one was named “Vrywilliger” which is Afrikaans for volunteer. While we will never meet the two chicks we adopted, we feel good knowing that the money we donated will help provide food and medication to these chicks ultimately helping them return to the wild. 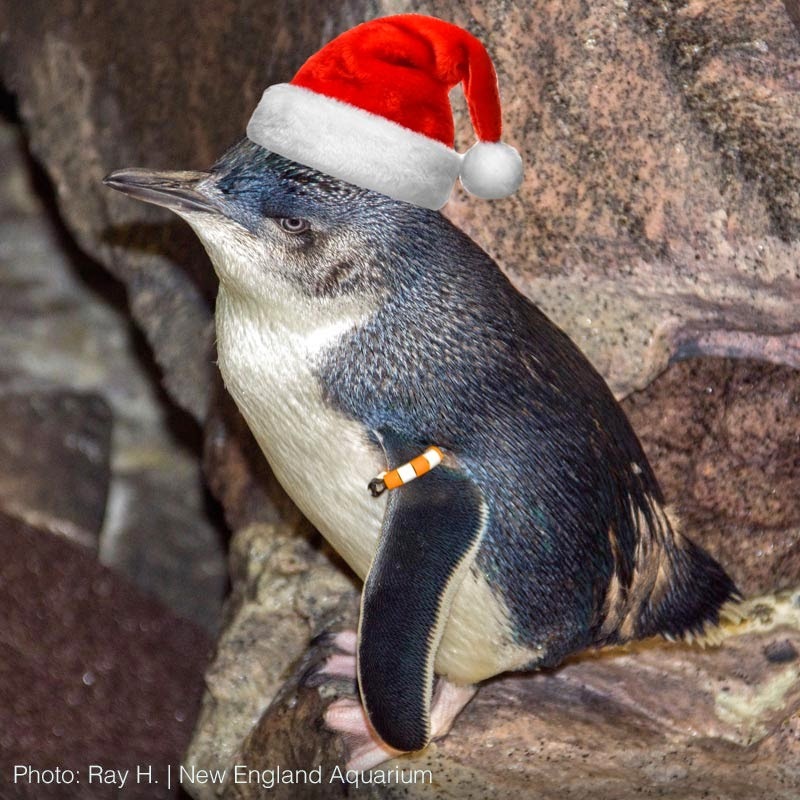 So the next time you are stuck trying to find that perfect gift for someone, a donation to your favorite charity or organization like the New England Aquarium in someone’s name is a great way to give a thoughtful gift and a way to give back to the community. Learn more about how you can make a contribution to the Aquarium. Your donation supports the Aquarium's education, conservation and research efforts around the world. In addition, your donation goes to care for the animals at the Aquarium—like top-notch medical care and food for penguins! Happy Holidays from the Aquarium's penguins and penguin staff! Little blue penguin with a Photoshopped hat | Photo: Aquarium volunteer Ray H.